Checkspeedsearch.com is a search engine that features an Internet speed testing tool that redirects all search queries to a custom Yahoo search engine. However, its biggest problem is the fact that it uses a browser extension that is distributed using deceptive means to replace your browser’s homepage address. Therefore, we have classified it as a browser hijacker and recommend that you remove it as soon as the opportunity arises. Its search results can have promotional links in them, and some of those links can jeopardize your computer’s security. Its creators want you to use this search engine which is exactly what you should not do to protect your privacy and your computer’s security. 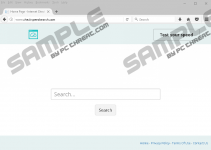 This browser hijacker was set up by HopeBest, company that is allegedly based in Hong Kong. 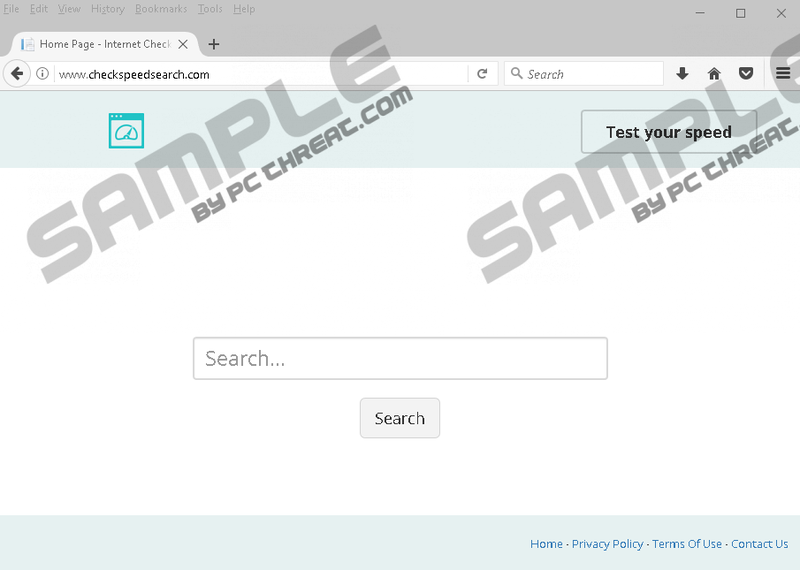 This company distributes this search engine (browser hijacker) along with a dedicated browser extension named Check Speed Search. This extension forks on Mozilla Firefox only and you can get it from its main distribution website at Checkspeedtab.com or a software bundle. The website does not allow you to install Check Speed Search without agreeing to install Checkspeedsearch.com as well which is an indication of a browser hijacker. However, this distribution method is by no means malicious it is often the case then a browser hijacker is imposed using soft tactics such as not allowing to install an extension without it. Software bundles are useful tools for getting additional software installed on a PC secretly. We believe that must be the case with Check Speed Search in particular. Its creators may have made arrangements with freeware distributing website owners to have it included in software bundles that do not allow you to deselect it. Hence, it is likely that malicious software bundle installers inject Check Speed Search into browsers secretly. The only purpose for installing Check Speed Search is to have it replace your browser’s default homepage address to Checkspeedsearch.com and effectively hijacking it. Its creators want you to use it for searching the web while also offering a gimmicky feature on its main page. Checkspeedsearch.com has an Internet speed test integrated into its main page. While it works as you would expect it to work, you do not need it on hand all of the time, so we think that keeping this search engine for the sake of keeping its speed test is nonsense. In closing, Checkspeedsearch.com is nothing more than a browser hijacker. Like thousands of other hijackers lurking in the deep corners of the Internet, it was designed to replace your browser’s homepage address to make you use is for searching the web and viewing its ad infested search results that generate its developers revenue. Therefore, we recommend that you remove it from your PC as soon as the opportunity arises. Please check the guide below for more information. Quick & tested solution for Checkspeedsearch.com removal.